Cysticercosis is a helminthic infection caused by the larval stage of pork tapeworm, Taenia solium. The worm requires different hosts during its different stages of development. Humans are the definitive hosts and harbor the adult worms, while pigs harbor the larval stage and act as the intermediate hosts. This disease is endemic in developing countries of the world where poor sanitary conditions are prevalent. It manifests mostly in form of lesions in the subcutaneous tissues, brain and skeletal muscles. 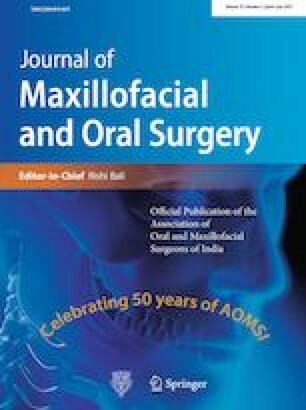 It is interesting to note that the oral cavity is a rare site for its occurence and pose as a diagnostic challenge for the clinicians. Here, we report one such rare case of an isolated lesion of the oral cavity involving the buccinator muscle.